What’s happening to the U.S. Gulf Coast is difficult to exaggerate and even more difficult to ignore. Floodwaters from Hurricane Harvey have killed several people and displaced countless others. Situated higher in the Hill Country, Austin has been spared the worst of what Harvey has wrought in cities like Rockport, Houston and Corpus Christi. But it is near enough to the coast that most of us who call it home know someone afflicted by this particular natural disaster. In a way, it has become personal to us. Communities – and in the United States, states are absolutely communities – are funny like that. Nature, of course, is indifferent to communities. It is ignorant to the objects of our study here at GPF. It doesn’t recognize the strategic imperatives of the United States any more than it recognizes those of China, which, like Texas, is currently a victim of nature’s capricious power. Typhoon Hato, which earned a signal 10 – the highest possible rating in Hong Kong’s classification system – struck the region Aug. 23. The South China Morning Post described it as “the worst typhoon that Macau has seen since 1968.” Typhoon Pakhar, which earned a signal 8 rating, hit the region a few days later on Aug. 27. Its Supreme leader, hardline clerics and politicians, and Islamic Revolutionary Guards Corps (IRGC) remain hostile to the United States and its Arab strategic partners in the region.They have fed the Shi'ite side of the growing tension between Sunnis, Shi'ites, and other sects of Islam, which has been driven on the Sunni side by movements like al Qaida and ISIS. They have made Iran a steadily growing threat and shown little real interest in pursuing other options. Iran is developing massive conventionally armed missile forces and seeking to give them the kind of precision guidance that could successfully attack key military, economic, and infrastructure targets throughout the Gulf region and beyond. Iran has the potential to create ICBMs, but its major real-world threat consists of a current capability to strike at area targets throughout the region and an active effort to acquire the kind of precision ballistic and cruise missile strike capability over time that can destroy key targets to the point where it can substitute "weapons of mass effectiveness" for weapons of mass destruction. Two nuclear-armed powers have stepped back from the brink — for now. 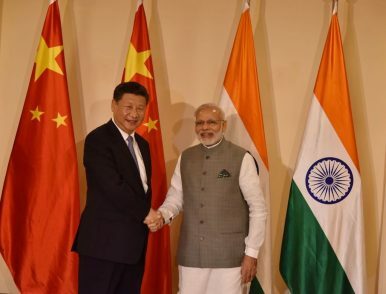 Yesterday India and China announced they had agreed to end a two-month border confrontation, in which a few hundred troops had faced off in the Doklam area claimed by both China and Bhutan, and many thousands more had been placed on heightened alert. The immediate crisis seems to be over, but it offers tantalizing insights into Chinese coercive strategies and how they may be thwarted. This has implications not only for India in its own land border disputes, but also for several Southeast Asian nations and the United States, as they all confront China’s attempts to expand its control and influence. China had every reason to believe that a short stretch of new road, high in the remote Himalayas, would reinforce its claims on the “tri-junction” where the borders of China, Bhutan, and India meet. In mid-June, Chinese military road crews began to extend a road in an area known as Doklam, disputed by China and Bhutan. The road had been built into the disputed territory as early as 2003, and PLA troops had often conducted foot patrols in the area of the proposed road extension. But China knew the area was disputed, and had acknowledged as much in agreements with Bhutan in 1988 and 1998, and with India in 2012. Extending the road would be a relatively cheap and clear way for Beijing to advance its claims in the dispute. 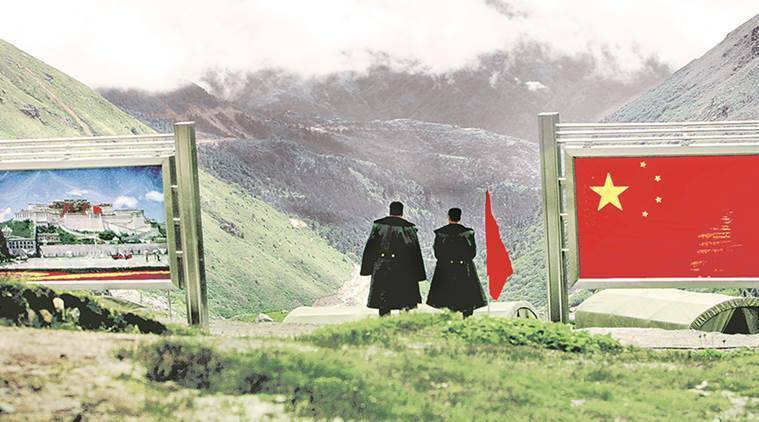 The months-long border standoff between China and India on the Doklam plateau, an obscure patch of disputed land near Bhutan in the Himalayas, came to a sudden close in the final days of August – days before Indian Prime Minister Narendra Modi meets Chinese President Xi Jinping at the Xiamen BRICS nations summit. Weeks of behind-the-scenes diplomatic effort succeeded in defusing what once appeared to be a high-stakes and intractable crisis. The Indian and Chinese foreign ministries released statements on Monday acknowledging a drawdown. While each country’s statement about the details of the end to the standoff varied in emphasis, there was no apparent contradiction. India highlighted an “understanding” between the two sides that led to the “expeditious disengagement of border personnel at the face-off site,” just 60 odd meters from the Indian Army’s outpost on the Bhutanese border at Doka La. Reports later confirmed that India had secured a withdrawal of Chinese troops – including construction crews – from the site of the standoff. China, meanwhile, chose to emphasize a different point in its statements. Its foreign ministry spokeswoman carefully underlined that Indian troops had withdrawn from the territory at the center of the standoff – territory that China sees as unquestionably Chinese. In Doklam stand-off, the Himalayan kingdom once again came to the rescue of India’s interests, with costs to itself. China has drawn lessons from their millennia-old history and developed a manual to defeat America - militarily, economically and culturally - by 2050. Here’s how India can tame the dragon by taking a leaf out of its playbook. Former union minister Arun Shourie in his 2013 book “India’s China Policy” used Guru Teg Bahadur’s two shlokas from the Guru Granth Sahib to illustrate Indian government’s 66 years of foreign policy vis-à-vis its northern Himalayan neighbour. The book starts with first chapter titled, Bal chhutki-o banDhan paray kachhoo na hot upaa-ay and ends with a chapter titled, Bal ho-aa banDhan chhutay sabh kichh hot upaa-ay. In plain English: when strength is exhausted, bondages grip you, there is no solution in sight but when strength is restored, bondages break, and there is the solution to everything. If the former half of the shloka described our China policy before 2014, the latter aptly describes the current one. End to Doklam standoff is the latest demonstration of this new found strength. Both sides have decided to revert to status-quo which existed before hostilities began when India challenged China’s intentions of building the road into Bhutanese territory. In 1941, shortly after Pearl Harbor pulled the United States into World War II, a group of volunteer American aviators led by Gen. Claire Chennault known as the Flying Tigers fought Japanese aggression in China. They were so successful that many people believe they were decisive in holding back Japan, eventually leading to its defeat. Although they were paid volunteers rather than members of the American military, they were not denigrated as “mercenaries.” The Flying Tigers — who now would be called contractors — fought for China and the United States and, like paid American contractors in theaters of war today, fought as bravely and patriotically as American soldiers. As policy makers in Washington decide what to do in Afghanistan, they should keep the Flying Tigers in mind. Such a force could be just the solution Afghanistan needs. Pakistan is used to hard talk from Presidents of the United States. After the 9/11 terror attack on the US, Pakistani President Pervez Musharraf was confronted by an angry Geroge W Bush. The usually laid-back Bush told Musharraf that if he didn’t cooperate with America’s war on terror, the US would “bomb Pakistan into the stone age”. That was in 2001. Sixteen years later, Pakistan has pretended to cooperate with the US, sucked in over $30 billion in US funds, and used the money to build a terror infrastructure aimed squarely at India. 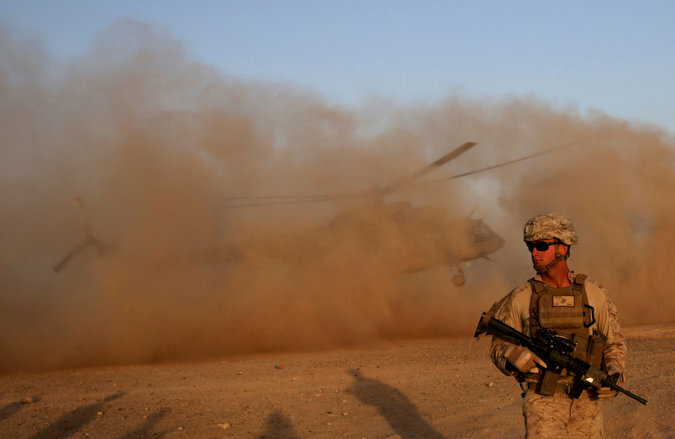 The US-led NATO alliance has lost over 4,000 soldiers fighting the Taliban in Afghanistan over the past 16 years. Nurtured by the Pakistani army, the Taliban has meanwhile grown in power and confidence. The US has witnessed Pakistan’s double dealing during this period but done little concrete about it. To Pakistan’s delight, President Bush switched his attention from Afghanistan to Iraq in 2003. The Taliban, pressure relieved, regrouped. President Barack Obama pleased the Pakistanis even more during his 2009-17 tenure by drawing down 1,00,000 US troops in Afghanistan to 8,900 soldiers, largely in an advisory and training capacity. He further pleased the Taliban and its Pakistani army mentors by announcing the withdrawals several years in advance. In the winter of 1991, as war began to descend over Saddam Hussein’s Iraq, the goddess of history placed the son of a small village near Azamgarh — locally famous for having once beaten up a small-time Congress politician with his hockey stick — at the helm of the General Headquarters in Rawalpindi. General Mirza Aslam Beg believed the war would create a Zionist-led order in West Asia, and lead on, unchecked, to the disintegration of the nation he had left his homeland in 1949 to help build. The big new idea was called “strategic defiance”. Once the United States became bogged down in the inevitable, murderous ground war, Pakistan would lead a fightback by mid-sized powers like Iraq and Iran, helped by China. Few knew just how strategic defiance might actually work for a country addicted to United States’ patronage. The scholar Hassan Abbas has wryly noted, “though, of course, there was a great deal of support whenever this brilliant, hitherto unknown concept was mentioned among senior Army officers”. Like so many other Pakistani military ideologies of the time — General Muhammad Zia-ul-Haq’s Islamisation or General Hamid Gul’s pursuit of “strategic depth” in Afghanistan — strategic defiance was apparently consigned to Rawalpindi’s dead-files drawers by 9/11. It is beyond trite at this point to say that the relationship between the United States and China is the world’s most geopolitically significant one, now and for the foreseeable future. Nonetheless, it’s no less true for being so frequently repeated. This year has seen a flurry of new books examining the relationship and grappling with both its history and its future prospects. The titles alone demonstrate the urgency of the issue, most notably with Graham Allison’s Destined for War: Can America and China Escape Thucydides’s Trap?, which expands the argument from his worthwhile 2015 article in The Atlantic. Allison emphasizes a historical approach, much inspired by the statecraft and advice of no less a statesman than Henry Kissinger himself, who has been advocating that students of foreign policy spend more time studying both history and philosophy. In a similar vein, Howard French’s recent Everything Under the Heavens: How the Past Helps Shape China’s Push for Global Power seeks to inform readers thinking about policy by recounting its history. Both of these are useful and well-reviewed, notably in The New Yorkerand Foreign Affairs, along with a slew of other recent releases, offering further proof that it’s definitely time to have your own diagnosis of the US-China question ready for cross-examination over beers at the next Right Arm Night. To me, this entire narrative smacks of silly triumphalism. It’s not that India ‘won’ a famous victory over China. It’s merely an agreement by the Chinese, apparently, to have agreed to stop creating ‘facts on the ground’. I wonder what their pound of flesh was. 'The only choice we have is to strengthen ourselves militarily and economically and develop friendships with others without alarming our neighbours, says Ambassador T P Sreenivasan. Commentators are at a loss to choose the right Shakespearean title to describe the end of the Doklam standoff. Arming Ukraine could put the United States in an awkward position vis-à-vis its NATO allies. President Trump should reject any such proposal. The United States already has devoted $750 million to Ukraine with little to show for it. Providing lethal aid will escalate tensions with Russia and contradict NATO allies who prefer to solve the conflict diplomatically. President Trump has said "all options are on the table" after North Korea fired a missile over Japan. So what could military action against Kim Jong-un's regime actually look like? As a ballistic missile passed over the Japanese island of Hokkaido residents were warned to take cover. 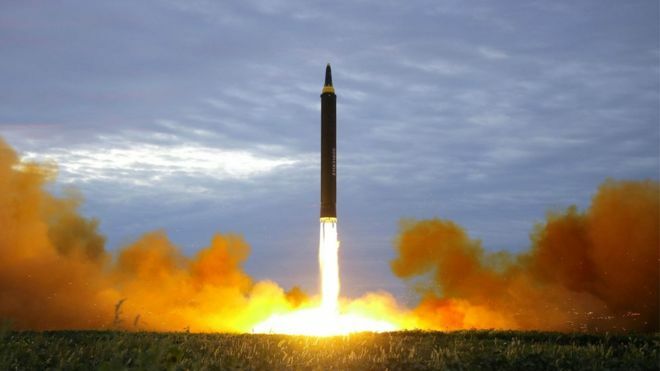 The launch was a provocative act, which has been followed by warnings from the North Korean regime that it was just a "first step". The UN and several nations have imposed sanctions on North Korea, while President Trump said he was considering the next steps. But while the US has unrivalled military strength, the range of options it actually has against the hermit country are limited. This is the least risky but arguably least effective option available since it would simply build on deployments that have long been in place and have had little success in deterring North Korea's ballistic missile and nuclear programme. The US could move additional ground forces into South Korea, including ground-based missile defences such as the controversial Thaad system, heavy artillery and armoured vehicles, to demonstrate its willingness to use force to back up its demands. In a speech on August 13, Hassan Nasrallah, Hezbollah’s Secretary General, reassured his public that Israel will not attack Hezbollah and Lebanon, arguing that Israeli officials believe “any war on Lebanon, no matter its objectives, will not be worth the costs Israel will incur in such a war.” In other words, Israel will go to war only if faced with no other course of action. In his speech, Nasrallah was addressing two audiences: a Lebanese public that was concerned about an impending Israeli attack as a result of the usual summer war of words between Hezbollah and Israel; and Israeli citizens. The mutual deterrence regime that has been in place in southern Lebanon since the end of the 2006 war between Israel and Hezbollah has benefited constituencies on both sides of the border. Nevertheless, Hezbollah and Israeli officials have engaged in occasional rhetorical escalation since 2006, partly to convey to the opponent their resolve and readiness to fight and partly as a psychological warfare tactic to sow fear in their opponent’s constituency. 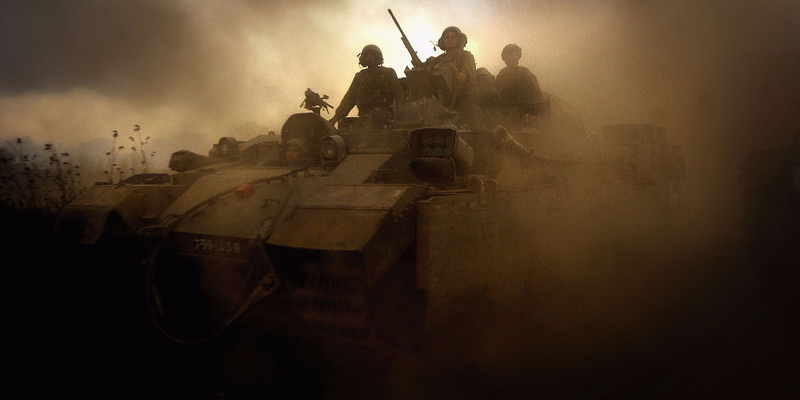 Both sides paint apocalyptic images of this war – Israel threatens to level all of Lebanon’s infrastructure, while Hezbollah vows to strike Israeli nuclear facilities in Dimona. On August 15, Israel’s Channel 2 news revealed satellite photos of an Iranian missile production facility near the town of Baniyas in northwestern Syria, capable of producing long-range rockets. Iran’s formidable military presence in Syria is nothing new, but the revelation of this production facility underlines how deeply the war in Syria has changed the balance of military power in the eastern Mediterranean. Faced with the possible collapse of Syrian President Bashar al Assad’s regime, Iran and its regional proxies have poured millions of dollars and thousands of soldiers into its Syrian ally. Now, with Russian help, that investment has paid off, and the regime has reestablished control over much of central Syria, and is stabilizing the front along “de-confliction zones” guaranteed by Russia, Turkey, and Iran. This is a problem for Israel. As the battle lines in Syria begin to stabilize, Iran and its allies will be able to focus more energy and attention on the Jewish state. Nowhere is this threat clearer than in Lebanon, where the Iran-allied and financed group of Hezbollah boasts thousands of soldiers, deep political influence in the Lebanese government, and an arsenal of up to 150,000 rockets. At the moment, Hezbollah deploys roughly 5,000 fighters in Syria – roughly one quarter of its standing forces. If and when those fighters return to Lebanon, Hezbollah leaders may feel emboldened to step up attacks on Israeli soil. The question for Israeli leaders is not only how to face this threat when it appears, but whether to strike now while its enemies are still distracted in Syria. Bennett has spent his career at RAND becoming one of the leading experts on the world’s most reclusive country. He has visited the Korean peninsula 107 times, talked strategy with top generals, and meets regularly with some of the most senior defectors to ever escape North Korea. One radio host introduced him as someone who has forgotten more about North Korea than most people will ever know. When something alarming happens there, his phone rings. On that evening in July, it was a producer with CNN, looking for a quote on the intercontinental ballistic missile—capable of hitting Alaska—that North Korea had just fired into space. Bennett has a story he likes to tell as a stage-setter in his briefings. Tensions were running high in the early 1990s. The leader of North Korea at the time, Kim Il Sung, called together his senior military officers and asked if they could win a war against the United States. I’m just back from visiting all of our key air bases in Iraq, Afghanistan and along the Persian Gulf, and I find myself wrestling with two stark contrasts: the contrast between what is happening there in the air and what is happening on the ground, and the contrast between the decency of the U.S. military personnel fighting this war and how unworthy Donald Trump — who has become our divider in chief — is to be their commander in chief. The first contrast was summed up in two wall-size digital maps at our Kuwait-based command center for the war on ISIS. One map displays every military aircraft the U.S. has in the skies over Syria and Iraq (as well as Russian, Syrian and Iranian aircraft) pounding ISIS targets. There are little symbols for B-52s, U-2s, F-16s, F-22s, F-15s, MQ-9 Reapers and jet refuelers. It is a giant aerial armada, a flying killer symphony orchestrated by the U.S. Air Force. The other map uses different colors to depict the disposition of forces on the ground. It looks like a broken kaleidoscope. Our U.S. military briefer explained: Purple is for Syrian regime forces and their Russian, Hezbollah and Iranian allies; light green shows Syrian Kurds and dark green Iraqi Kurds; light blue represents “disciplined” Iraqi Shiite militias, while the “undisciplined” ones are another shade. Pro-Turkish Sunni militias have their own color, as do the pro-American Syrian Sunni militias. ISIS fighters are another color, and the official Iraqi security forces are a different one still. The Secretary’s Rebuke 77.5k 2.5k 566 James Mattis tells the troops that their president is failing them. President Trump has left us so numbed by his deceit and dishonor that it’s hard for anything said by or about him to shock us. Even so, the remarks this past weekend by two of his top Cabinet officers should sound the alarm bells louder than usual. In 1985, medical equipment containing cesium-137 was abandoned in a radiotherapy center in Goiânia, Brazil. Two years later, scrap-metal salvagers illegally entered the partly-demolished facility and took the equipment. Unaware of the threat posed by the radioactive source, the salvagers subsequently began dismantling the equipment and brought it to a dealer, where the capsule containing the cesium-137 was ruptured. Not realizing what the blue glowing material was, the dealer gave some to his friends and family as a gift. It was not long before the cesium-137 spread, and the people of Goiânia began suffering from acute radiation poisoning. The surrounding area had to be extensively and thoroughly decontaminated – 249 people and 85 houses were contaminated from radiation exposure. It is not too hard to imagine what could happen if someone with malicious intent, or a terrorist group such as Daesh, got hold of the abandoned cesium-137 source in Goiânia. This incident is a prime example of the dilemma posed by “orphan sources,” or radiological sources that have been abandoned or improperly disposed of. Even sources currently in use can present a risk if they are not properly secured. The best way to defend against radiological weapons is to secure and monitor potential sources of radiological materials, shifting from reactive seizures to proactive oversight. This includes everything from nuclear waste to radiotherapy equipment such as those abandoned in Goiânia. People who commit espionage sustain double lives. When a person passes classified information to an enemy, he or she initiates a clandestine second identity. From that time on, a separation must be maintained between the person’s secret “spy” identity, with its clandestine activities, and the “non-spy” public self. The covert activities inescapably exert a powerful influence on the person’s overt life. They necessitate ongoing efforts at concealment, compartmentation, and deception of those not witting of the espionage, which includes almost everyone in the spy’s life. For some people, sustaining such a double identity is exciting and desirable; for others, it is draining and stressful. For a few heroic people, spying is a moral imperative that they would prefer to avoid but feel compelled to act on. This article focuses on spies whose espionage appears to be primarily self-interested, rather than altruistic or self-sacrificing. Within this criminal or treasonous type, specific psychological factors commonly occur, providing a guide to understanding the motives, behavior, and experiences of this type of spy. The risk of espionage can be reduced through understanding these psychological patterns and tailoring countermeasures accordingly. Earlier this year, the Bower Forum, a two-day peer-to-peer session for senior business leaders, celebrated its fifth anniversary of idea sharing and experiential learning. To mark the occasion, McKinsey invited Bower alumni from companies across Asia, Europe, and North America to a special event in Dubai. Much of the wide-ranging discussion was off the record, but participants have allowed us to share highlights of those exchanges during a number of breakout sessions, which speak to two principal challenges facing many CEOs: how to manage their early transition into the top job (for example, weighing the benefits of making moves early versus taking time to assess and reflect) and how to keep up with fast-moving technology (notably, how to better prepare themselves for the disruption that will more than likely confront their companies these days). Those two themes consistently cropped up in conversations, intriguingly reflecting the two preoccupations delegates at earlier Bower Forums have been most anxious to talk about. I recently heard about a one-star general from a support career field who remarked, “In this day and age, thanks to smart bombs, putting a bomb on target is easy now.” Remarks like this are becoming more common, and they stem largely from an illusion that as technology makes warfighting more effective and efficient, it must also make it easier and require less expertise. In fact, dropping a smart bomb is a bit more complicated than strapping an iPhone to an explosive, using the Maps app to plug in the bad guy’s address, and tapping the Easy button to generate airpower. Like many things in life, you don’t get something for nothing. For new technology to achieve its claims, the operator’s mastery of one set of skills must generally be supplanted by another equally demanding set. The military research unit is looking for technology and software that can identify networks that have been infiltrated—and neutralize them. The military’s research unit is looking for ways to automate protection against cyber adversaries, preventing incidents like the WannaCry ransomware attack that took down parts of the United Kingdom’s National Health Service networks. The Defense Advanced Research Projects Agency is gathering proposals for software that can automatically neutralize botnets, armies of compromised devices that can be used to carry out attacks, according to a new broad agency announcement. The “Harnessing Autonomy for Countering Cyber-adversary Systems” program is also looking for systems that can exploit vulnerabilities in compromised networks to protect those networks, making cyber adversaries—both state and non-state—less effective. This isn’t the first time DARPA has investigated automated cybersecurity. In the 2016 Cyber Grand Challenge, participants were tasked with building systems that could thwart attacks without human intervention. The current conversation on mission command among some professional circles is on the brink of becoming unhealthy, even dangerous to the military profession as a whole. Heavily-biased dialogue, when left unchecked by critical thinking, can quickly become divisive no matter how well-intentioned. In his chapter, "The Sinews of Leadership: Mission Command Requires a Culture of Cohesion," recently published in an anthology on mission command entitled Mission Command: The Who, What, Where, When, and Why, author Joe Labarbera asserts that the Army's fighting forces lack the cohesion necessary to survive on the modern battlefield. He cites a culture of careerism and a turbulent personnel management system among numerous other factors as sources of the problem. While his ideas might contain truth, his work serves as an example of recent dialogue on the topic that possesses the potential to do more harm than good. Deeply-biased and dredging up feelings of discontent and frustration, his work is less likely to aid in identifying potential solutions than it is to drown them out. WASHINGTON: After half a decade of dithering by Democrats and Republicans, the Trump administration has finally made Cyber Command a unified combatant command. The White House statement does not name the first head cyber warrior since it remains a dual-hatted command, with the head of the National Security Agency running things. One of the top industry players in cyber warfare — a retired rear admiral who was the CNO’s director of warfare integration for information dominance — believes this decision should particularly help soldiers on the front lines. PENTAGON: Army Chief of Staff Mark Milley, has ordered a review of service’s longstanding shortfalls in electronic warfare, officers told me in an exclusive interview. The ultimate goal: give commanders from platoon to corps the ability to shut down enemy radio and radar as readily as they now call in airstrikes and artillery. It’s a critical part of the Army’s plan to hit future enemies from all possible angles at once, a concept called Multi-Domain Battle. The EW review, which Milley officially launched in April, is separate from a high-profile review of Army networks we’ve previously reported on. The network review focuses on streamlining and strengthening a wide range of Army systems so they can better withstand cyber/electronic attack. The EW review, however, looks at more active measures to detect, deceive, and disrupt enemy radio and radar. Those are capabilities the Army almost entirely disbanded after 1991, only to relearn from Russia’s 2014 invasion of Ukraine how devastating they could be. Both reviews touch on cyber warfare, which is inseparable from electronic warfare when it comes to wireless networks, which includes all military radio nets. 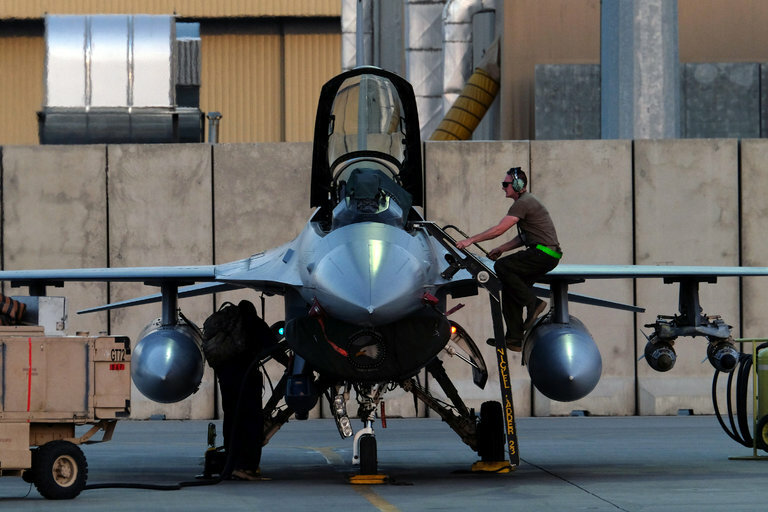 The EW review’s full remit, in fact, is to study “gaps… in the integration of cyber, electronic warfare, and intelligence,” Col. Mark Dotson said. He works electronic warfare at the Army’s Cyber Center at Fort Gordon, which is co-leading the review along with the Intelligence Center Fort Huachuca.